A short seven years after the Yellowbellies’ famous three-in-a-row of All-Irelands, the Wexford Senior camogie team failed to line-out for a competitive Division 1 League game against Cork. Wexford’s once arch-rivals in the camogie world, Cork, were given a walk-over, in a story that would eventually generate headlines across national media outlets. The Model County had hit rock-bottom. It was embarrassing, but the players were far from the root of the problem. Roche, who was recently appointed the county’s new chairperson, was tasked with finding an appropriate person for the job. Since Carey’s departure earlier in the month, Mick Curran has stepped up and acted as the interim manager for the Model County’s camogie team. Unfortunately for Curran, as interim manager, he couldn’t field a team against Cork. But, while it could be easy to point fingers at the players and question their hunger or desire, Sunday’s embarrassment was an inevitable product of previous years, whereby Wexford camogie players were dismissed, undervalued and underappreciated. “We had girls obviously involved with St Martin’s in the club championship…we had girls involved in college duties and girls that were working and couldn’t change their work,” Roche explained to The42.ie. In fairness, a reply along the lines of Roche’s was somewhat expected. After all, Roche is a new face in the role; she’s not going to undermine her own position as Wexford chairperson here either. 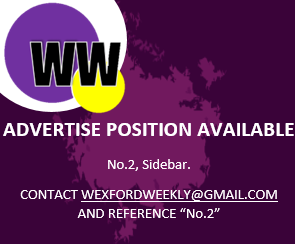 However, if previously published stories are anything to go by, then the position of Wexford camogie boss isn’t one that holds great attraction. Musings, discussions, and reports have suggested that the players are there. It’s been highlighted numerous times, via tweets, interviews, and emails, however, that the resources aren’t. It hasn’t been long since Deirdre Codd issued a tweet, searching for some sort of Model fairness. Throughout this time, the Wexford camógs have also suffered a series of retirements, early retirements, or players just simply calling it a day. Moving on, for the better word. And why would they stay? Numbers have been short at training, so much so that Wexford had to withdraw their Intermediate team from last year’s championship. Again, this was not because of the players, but because of the goings-on in the background; the miscommunication, county board officials taking over matches, and overall, just a below-par set-up for an inter-county side that was winning Senior All-Irelands as recently as 2012. 16 September 2012; Sisters Mary, left, and Una Leacy, Wexford, celebrate after the final whistle. All-Ireland Senior Camogie Championship Final, Cork v Wexford, Croke Park, Dublin. Picture credit: Matt Browne / SPORTSFILE. Even as an outsider looking in, if the new Wexford camogie manager is to have any hope in rescuing the county camogie team from despair, it’s quite obvious that the resource area is an area that needs re-assessment. Written in the midst of St Martins marking their place in the All-Ireland Senior Camogie final, the notion that the Wexford players aren’t there is one that must be dismissed. St. Martins defeated Thomastown (Kilkenny) by seven points in the Leinster final, and on Sunday the Wexford representatives defeated Inniscarra (Cork) by six in the All-Ireland semi-final. They defeated Oulart-The Ballagh by four in the Wexford Senior camogie final; surely, one would think, that’s saying something about the high-standard that still remains in the world of Wexford camogie. Whether Wexford will field a team next week against Galway still remains a question on a lot of people’s minds. “We’re away to Galway this weekend and I’m hoping to field on Sunday,” Roche said.